There is little doubt that gold was one of the first metals ever used by mankind. 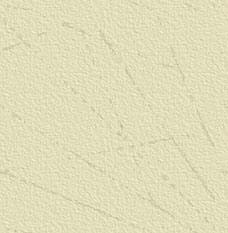 Its beauty and enduring durability have made it a valued commodity since the very beginning of history. Gold was the original money and still represents the ultimate money of last resort. For thousands of years man has sought to discover the origins of this valuable metal and thereby figure out how he might gain more. The effort to understand the geology of gold was perhaps man's first serious effort at understanding the earth's rocks and minerals. Gold is actually a relatively scarce element on the crust of the earth, but it occurs in trace quantities spread throughout many different kinds of rocks and in many different geological environments. Although scarce, gold is concentrated by various natural geologic processes to form commercial deposits of two principal types: hard rock lode (primary) deposits and placer (secondary) deposits. Lode deposits are the gold deposits which remain locked within their original solid rock formations. These are the targets for the "hardrock" prospector seeking gold at the site of its deposition which was formed from mineralizing solutions within the earth. These deposits within solid rock are also the source of most of the new gold being mined today. Geologists have proposed various hypotheses to explain the source of solutions from which mineral constituents are precipitated in lode deposits. Because all three models involve the circulation of liquid water and steam, gold is most commonly deposited in areas open to circulation of liquids such as fracture zones along faults. This explains why veins of gold are so closely related to fault activity. Gold is usually only a small portion of the deposit, and associated minerals often called gangue include a variety of products such as quartz, calcite, pyrite and others. For more information the minerals found with gold, see: Minerals Associated with Gold. Many very productive and profitable and gold deposits contain less than 10 parts per million of gold. The majority of the world's productive gold deposits, especially those found in volcanic and sedimentary rocks, formed from circulating ground waters driven by heat provided by bodies of magma (molten rock) intruded into the Earth's crust within about 2 miles of the earth's surface. Active geothermal systems, which are exploited in parts of the United States for natural hot water and steam, provide a modern evidence for these types of gold-depositing systems. Most of the water in these geothermal systems originates as rainfall, which moves downward through fractures and permeable beds in cooler parts of the crust and is drawn laterally into the areas areas heated by the magma, where it is driven upward through fractures by natural processes of convection (heat tends to rise). As the water is heated, it dissolves metals from the surrounding rocks. When the heated waters rise to reach cooler rocks at shallower depths, metallic minerals precipitate to form veins within fault zones or blanket-like ore bodies within favorable strata graphic horizons. This type of gold depositing system is the most common one found within the state of Nevada. Another model which applies to the origins of some gold deposits, suggests that gold-bearing solutions may be expelled from magma as it cools, precipitating ore materials as they move into cooler surrounding rocks. This type of gold deposit model is considered likely with many gold deposits located in or near masses of granite type rock, which represent solidified magma. This type of gold depositing system is the most common one found within the state of Alaska. A third theory of gold genesis is applied mainly to gold-bearing veins in metamorphic rocks that occur in mountain belts at continental margins. In the mountain-building process, sedimentary and volcanic rocks may be deeply buried or thrust under the edge of the continent, where they are subjected to high temperatures and pressures resulting in chemical reactions that change the rocks to new mineral assemblages (metamorphism). This hypothesis suggests that water is expelled from the minerals as they change, and the water then migrates upward, precipitating ore materials as pressures and temperatures decrease. The ore metals are thought to originate from the rocks undergoing active metamorphism deep within the earth. 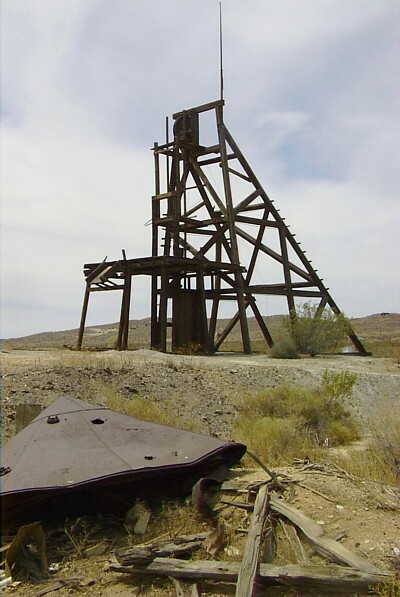 This type of gold depositing system is the most common one found within the mother lode country of California as well as the state of Arizona, and is responsible for creating the lodes from which most of Arizona's placer deposits are derived. The primary concerns of the prospector or miner interested in a lode deposit of gold are to determine the average gold content (tenor) per ton of mineralized rock and the size of the deposit. From these data, estimates can be made of the deposit's value. One of the most commonly used methods for determining the gold and silver content of mineralized rocks is the fire assay. The results are reported as troy ounces of gold or silver or both per short avoirdupois ton of ore or as grams per metric ton of ore. The fire assay technique is one that is many centuries old and has remained nearly unchanged for that period of time. Placer deposits represent concentrations of loose particles of gold metal which are freed from their enclosing lode deposits by erosion, disintegration or decomposition of the enclosing rock, and subsequent concentration by gravity. They are the deposits most easily located and worked by the individual prospector. Gold is extremely resistant to weathering and, once freed from enclosing rocks, is carried downstream as metallic particles consisting of "dust," flakes, grains, or nuggets. Gold is a very dense and heavy metal, so any particles in stream deposits tend to move downward and are often concentrated on or near bedrock. They move downward during high-water periods when the entire bed load of sand, gravel, and boulders is agitated and is moving downstream. Fine gold particles may collect in crevices or in pockets in the bedrock, or a certain points on sand and gravel bars where the stream current slows. Concentrations of gold in gravel are called "pay streaks." In gold-bearing country, prospectors look for placer gold deposits where coarse sands and gravel have accumulated and where "black sands" are concentrated and settled in the stream. Typical examples of these types of locations for heavy material accumulations include the inside bends of rivers and streams as well as areas downstream from outcropping sections of bedrock or large boulders. Magnetite and hematite are the most common minerals in black sands, but in some deposits there are other heavy minerals which can also be valuable such as cassiterite, monazite, ilmenite, chromite, native platinum and associated metals, and even some gem stones like sapphire corundum that may be present. Placer deposits have formed in the same manner throughout the Earth's history. The processes of weathering and erosion create surface placer deposits that may now be buried under rock debris. Although these "fossil" placers are subsequently cemented into hard rocks, the shape and characteristics of old river channels are still recognizable. The Witwatersrand deposit in South Africa, perhaps the world's most productive single gold deposit, is considered a fossil placer by most geologists. Through laboratory research, the U.S. Geological Survey has developed new methods for determining the gold content of rocks and soils of the Earth's crust. These methods, which detect and measure the amounts of other elements as well as gold, include atomic absorption spectrometry, neutron activation, and inductively coupled plasma-atomic emission spectrometry. These methods enable rapid and extremely sensitive analyses to be made on large samples. In the past, when the price of gold was fixed, the common practice was to report assay results as the value of gold (in cents or dollars) contained in a cubic yard of material. Now results are reported as grams per cubic yard or grams per cubic meter. In the past 30 years, low-grade disseminated gold deposits have become increasingly important as sources of newly mined gold throughout the world. More than 75 such deposits have been found in the Western States, mostly in Nevada. The first major producer of this type was the Carlin deposit, which was discovered in 1962 and started production in 1965. Since then many more deposits have been discovered in the vicinity of Carlin, and the Carlin area now comprises a major mining district with a number of operating open pits and several underground operations producing more than 1,500,000 troy ounces of gold per year. Total production from the Carlin area exceeds 60,000,000 ounces. Nevada continues to produce quite a bit of gold and for many years the state has produced in excess of 7,000,000 ounces of gold per year. 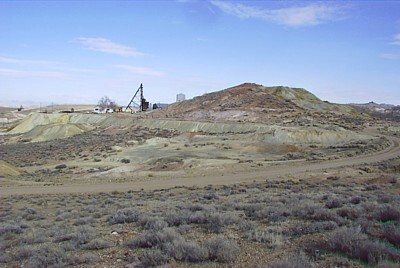 About 15 percent of the gold produced in the United States has come as a byproduct from the mining other metallic ores. Where base metals, such as copper, lead, and zinc are deposited, either in veins or as scattered mineral grains, minor amounts of gold are commonly deposited with them. Deposits of this type are mined principally for the predominant metals, but because of its value, the gold is also recovered as a byproduct during processing of the ore. Most byproduct gold has come from porphyry copper deposits, which are so large that even though they contain only a small amount of gold per ton of ore, so much rock is mined that a substantial amount of gold is recovered. 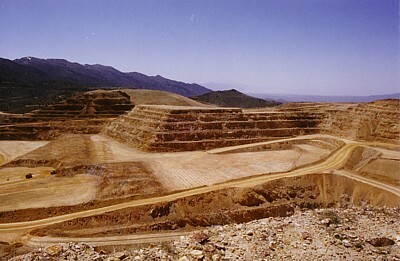 The largest single source of byproduct gold in the United States is the porphyry copper deposit at Bingham Canyon, Utah, which has produced about 18 million troy ounces of gold since 1906. Geologists examine all factors controlling the origin and emplacement of mineral deposits, including those containing gold. Igneous and metamorphic rocks are studied in the field and in the laboratory to gain an understanding of how they came to their present location, how they crystallized into solid rock, the minerals they contain, and how mineral-bearing solutions formed within them. Studies of rock structures, such as folds, faults, fractures, and joints, and of the effects of heat and pressure on rocks suggest why and where fractures occurred and where veins or other deposits might be found. At times, geologists will take an extensive number of soil and rock samples on a regular grid covering an area suspected to contain valuable deposits. Anomalous amounts of gold or elements known to be associated with gold in valuable deposits such as arsenic or Mercury, will indicate areas which may require further study or even drilling. Studies of weathering processes and transportation of rock debris by water enable geologists to predict the most likely places for placer deposits to form. The occurrence of gold is not random or capricious; its presence in various rocks and its occurrence under differing environmental conditions follow natural laws. As geologists increase their knowledge of the mineralizing processes, they improve their ability to find gold. Want to know a little bit more about this crazy prospector guy? Well, here's a little bit more about me, and how I got into prospecting: Chris' Prospecting Story Interested in seeing more gold? Here are some interesting photos of beautiful Gold Nuggets I'm the associate editor for a well known Gold Mining Magazine - so check out their website for more information and my latest articles.